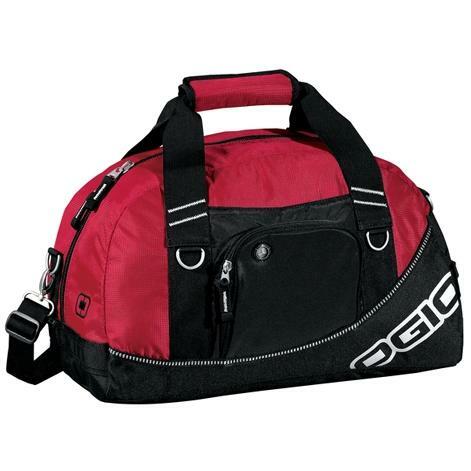 "OGIO 711007 Half Dome Duffel Bag Accommodates Shoes Audio Pocket Webbed Shoulder Strap Front Sleeve Pocket Dobby Nylon/ 600 Denier Poly Dimensions 10"" H x 18"" W Available Colors: Wasabe, Navy, Pink, Juice, Red, Black, Royal This duffel bag is a great idea for the sporty type or even the traveling type. It is spacious, has room to accommodate shoes, clothes and whatever else you may need. 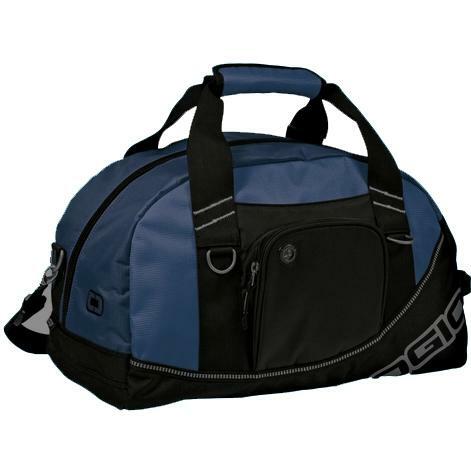 It also comes in a variety of fun colors, to sum it up it can fit about any need you could possibly have! Need an embroidered logo? Email us your design for a custom quote."